Costumes from the recent film adaptation of Jane Eyre, starring Mia Wasikowska (in the photo), Michael Fassbender, Jamie Bell and Dame Judi Dench will be on show at the Bronte Parsonage Museum in a new exhibition which opens on Thursday 3 May. Visitors to the museum will be able to see some of the original costumes worn by the cast, displayed in the period rooms of the Parsonage. The exhibition is one of the highlights of the Bronte Parsonage Museum’s new season of contemporary arts events which is announced today. Artist Rebecca Chesney will be exhibiting new visual art work created during her year-long residency investigating the Brontes and the weather, in her exhibition Hope’s whisper which will open on 22nd June. Landscape photographer Simon Warner is artist in residence 2012 for the Watershed Landscape project, a three year programme to enhance, promote and care for the moorland areas of the South Pennines. His exhibition, Ways to the stone house, will open on 28 September and feature a series of tiny landscape films, shot on the moors above Haworth, for display in the period rooms of the Bronte Parsonage Museum. The exhibition will also document the progressive ruination of Top Withens (believed to be the inspiration for Wuthering Heights), using photographs from the Parsonage archives as well as iconic images by Bill Brandt, Fay Godwin and Alexander Keighley, and will include an original sketch of Top Withens by Sylvia Plath, made on her first visit with Ted Hughes in 1956. Watershed Landscape is managed by Pennine Prospects supported by Bradford Museums and Galleries. As part of his exhibition, Simon Warner will also be curating a one-day symposium on Landscape and Literature in Haworth on Saturday 6 October. The full programme will be released shortly, and the day’s key note speaker will beSimon Armitage. Also visiting Haworth as part of the new season of events will be novelist Victoria Hislop on 5 July, and Dickens scholar Michael Slater will be discussing the Brontes and Dickens on the afternoon of 8 June. On the evening of 9 June, panellists Bonnie Greer, Terry Eagleton and Caryl Phillipswill be discussing the themes of race and slavery in Wuthering Heights, following a screening of the documentary A Regular Black, which explores the connections between the fictional Earnshaws in Wuthering Heights and the slave-owning families of Yorkshire. 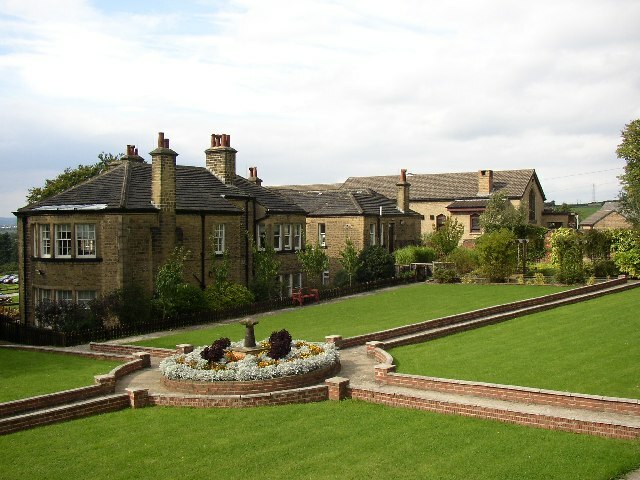 The museum will also be hosting the third Bronte Festival of Women’s Writing this summer. The weekend of readings, talks, workshops and family events will take place 31 August- 2 September and the festival will open with an event with novelist Sadie Jones on 31 August. The full festival programme will be announced in June. To mark the 2012 Dickens bicentenary, and on the eve of the anniversary of Dickens’ death in 1870, Michael Slater compares and contrasts the connections between Charles Dickens and the Brontës as ‘heritage authors’; their impact on national culture, the creation of societies of dedicated enthusiasts, and the myths that have been built around their lives and works. Michael Slater is Emeritus Professor of Victorian Literature at Birkbeck College, University of London, past President of the International Dickens Fellowship and of the Dickens Society of America, and former editor of the journal 'The Dickensian'. His biography Charles Dickens was published in 2009. Tickets £6 and should be booked in advance from jenna.holmes@bronte.org.uk / 01535 640188. The casting of a mixed race Heathcliff in Andrea Arnold’s 2011 film adaptation of Wuthering Heights put issues of race into the spotlight. Who is Heathcliff? Where does his destructive anger come from? Could Emily Brontë have been hinting at a darker secret than previously imagined? The documentary A Regular Black: The Hidden Wuthering Heights examines themes of slavery and race coded into the text, and uncovers parallels between the fictional Earnshaws and the slave-owning families of Yorkshire. Following a screening of the documentary, panellists Terry Eagleton, Bonnie Greer and Caryl Phillips will tease out some of the themes. The evening will offer a fascinating new reading of the novel, and the audience will be invited to join in the debate. Professor Terry Eagleton is one of Britain’s most influential literary critics. He is Distinguished Professor of English Literature at Lancaster University, and has written many books, including Literary Theory: An Introduction (1983), The Ideology of the Aesthetic (1990), Heathcliff and the Great Hunger (1995) and Why Marx was Right (2011). Bonnie Greer OBE is a playwright, critic, broadcaster and novelist. She is the author of Entropy (2009), Obama Song (2009) and the biography Langston Hughes: the Value Of Contradiction (2011). Bonnie Greer is Deputy Chairman of the British Museum and President of the Brontë Society. Caryl Phillips is a novelist, playwright and critic. His novel A Distant Shore won the 2004 Commonwealth Writers Prize, and Crossing The River was shortlisted for the Booker Prize. He has won the Martin Luther King Memorial Prize, a Guggenheim Fellowship, a Lannan Fellowship, and the James Tait Black Memorial Prize. Caryl Phillips is Professor of English at Yale University. Tickets £12 and should be booked in advance from jenna.holmes@bronte.org.uk / 01535 640188. The Brontës use descriptions of weather at key emotional points in their novels, and their own daily lives were strongly influenced by the elements. In 2011 artist Rebecca Chesney installed a weather station at the Bronte Parsonage Museum, and working with a group of local weather collectors and Haworth primary school, recorded weather patterns for 12 months. Rebecca has cross referenced this meteorological data with descriptions of weather in the Brontes’ letters and novels to create new visual artwork for exhibition at the Brontë Parsonage Museum. The exhibition continues at South Square Gallery in Thornton (the Bronte birthplace), from 6 to 29 July. www.southsquarecentre.co.ukYou can read more about the weather project on Rebecca’s blog: www.bronteweather.blogspot.com Rebecca Chesney is an artist based in Preston. Her work looks at rural and urban landscapes, changing environments and human activity. Previous projects include Diligent Observationat Yorkshire Sculpture Park (2011), Five Rivers at Morecambe Bay (2008) and Death Equals All Things, Bolton Museum and Art Gallery (2007). Exhibition free with admission to the museum. To accompany her exhibition, Rebecca Chesney will be in conversation with writer and critic Alexandra Harris on the cultural significance of weather. Alexandra Harris is the author ofRomantic Moderns: English Writers, Artists and the Imagination from Virginia Woolf to John Piper, which won the Guardian First Book Award in 2010. Alexandra Harris is currently writing a cultural history of weather. The evening will explore how the Brontës’ use of literary weather compares with other writers, and will be accompanied with readings of ‘weathery’ passages from literature. The evening takes place at the museum after closing, and tea and cake will be served. Places are limited to 14. Tickets £16 and must be booked in advance from jenna.holmes@bronte.org.uk / 01535 640188. The festival of women’s writing will be back for its third year, with an increased focus on creative writing and participation. The full programme will be announced in June and will include creative writing workshops, practical activities and talks by prominent and emerging women writers. We’re delighted to announce that the 2012 festival will be opened by novelist Sadie Jones. If you wish to receive festival details as soon as they are released, please contact jenna.holmes@bronte.org.uk to join the mailing list. Sadie Jones’s first novel, The Outcast (2008) was the winner of the Costa First Novel Award. It was also shortlisted for the Orange Prize. Her second novel, Small Wars (2009) was longlisted for the Orange Prize. The Uninvited Guests (2012) is her third novel. The Brontë Society is very disappointed with the decision to grant planning permission to Banks Renewables for a 60m wind mast on Thornton Moor. We feel that this decision demonstrates a regrettable lack of consideration for a heritage landscape which is unique, as well as a complete disregard for the negative impact which this will have upon the environment and the local economy. Although the wind mast itself will be in place for a limited period, after which the mast will be removed, the structure will, for that period of time, be visible from the Haworth moorlands, and is likely to be followed up with four enormous turbines. The Brontë Society feels there should be no further pollution of the skyline and regrets the erection of this structure which, even if of a temporary nature, has implications for the future permanent defacement of the views from the Haworth moorlands. Haworth and its moorlands have international cultural and historical significance and any proposals which have an adverse impact on this significance are to be disapproved of. Chairman of The Brontë Society Council, Sally McDonald, said, "These moorlands inspired and are reflected in the writings of the Brontës especially Emily Brontë’s Wuthering Heights. The wild and beautiful moorland is a significant part of the Brontë story. Interest in the lives and works of the Brontës brings thousands of visitors to Haworth and Yorkshire year in year out. Erecting a substantial wind mast and still more so four huge turbines three years from now will change the character of this moorland forever." In recent weeks The Brontë Society has received an overwhelming level of interest and support from all over the world and we would like to take this opportunity to express our gratitude and to reaffirm our commitment to Haworth’s cultural and historical significance. 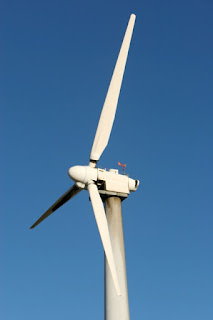 Giant turbines on Thornton Moor? Interest in the Bronte Society's opposition to the proposed Thornton Moor wind mast escalated last week with extensive coverage in three national newspapers on Friday (The Independent, The Daily Telegraph and the Daily Mail) and coverage in many local papers both nationwide and overseas. Today has seen a consolidation of this interest with the BBC recording at the Parsonage ready to broadcast from there tomorrow morning (BBC Breakfast). Parsonage Director Andrew McCarthy was interviewed by Radio Leeds today. ITV's Calendar News asked for an update and have said they will be monitoring the decision and the Society's response to that decision. A large number of Society members and non members have emailed offers of support. The decision about the mast will be made by Bradford councillors on Wednesday 11th. There have been over one hundred public objections and the community of Denholme Gate has submitted a petition. Thornton Moor, an inspiration for all three Brontë Sisters and a huge influence on their writing, could be home to four turbines, each more than one hundred metres in height, within a year, if the "first stage' data-gathering mast is allowed to be installed. This is the plan of Banks Renewables, the company behind the scheme. There's a photo shoot at 11 am today at Roe Head School (in the photo, now renamed Holly Bank) in Mirfield organised by the Reporter newspaper. A number of people will be there in role, in costume, for example Major David Pinder will appear as William Cartwright, the owner of Rawfolds Mill, which was attacked by Luddites in 1812 following similar attacks on other mills in the West Riding. Major Pinder will give an account of what happened two centuries ago on Saturday. The two hundredth anniversary is on the 11 and 12 April. In aid of Holly Bank School, Imelda Marsden will present Two Speakers with A Difference, in commemoration of the attacks, at the school on Saturday 14 April at 2.15pm, in the room where Charlotte Brontë once taught. Tickets are six pounds. The first talk is about the attack, and the second about Shirley. One of the raffle prizes is half a gallon of 'Luddite beer' which will be drunk at the Shears pub in Liversedge, once a meeting place for the followers of General Ned Ludd. I have been to many art exhibitions, but this one is unique in having magnifying glasses dangling beside the drawings ! Seen from a distance Franklin's ten pictures appear as nothing but areas of vague grey mistiness. Only as one gets closer do various dream-like concepts emerge – people, houses, skies and vast distances of moorland. There is no attempt at literal illustrations of the Brontë life-stories, novels or poems. The artist has taken all these elements into himself, and reinvented them through the power of his imagination. Nine year old Amy Jessett said it all when she wrote on the visitor's sheet : “As exciting as opening a book you've never read”.